The oldest international continental soccer competition has arrived for the first time ever to Chicago. 32 MATCHES … will be played throughout the USA June 3rd- 26th. 10 U.S. Cities … including Chicago. 1st … This is the first time the competition has been hosted outside of South America. 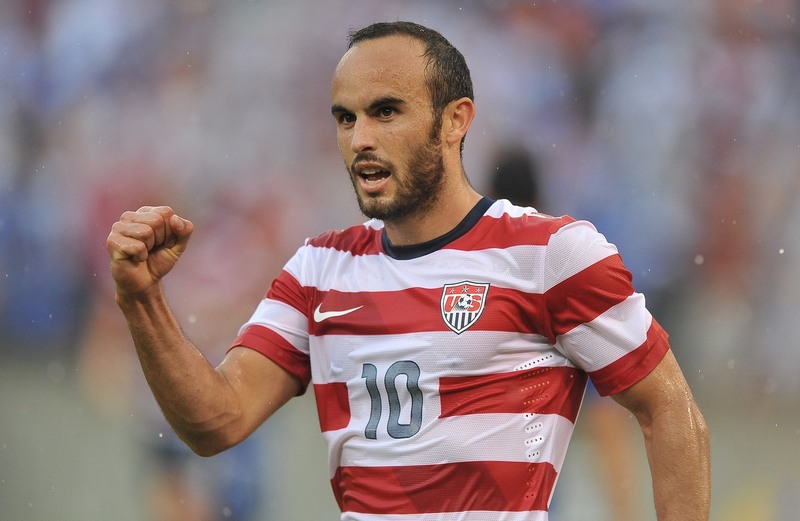 Landon Donovan, soccer legend, will be meeting with fans today from 5 – 7 p.m. at the Sprint store in the Thompson Center. During the meet-and-greet, Sprint will be giving away free pairs of tickets to the USA vs. Costa Rica soccer match on June 10 and other prizes for the first several fans who tweet a picture on-site with the hashtags #Sprint4Chi and #Sprint4Copa. No purchase is necessary. FanHQ is the official fan destination for the tournament, offering a celebratory and free of charge experience for all soccer fans in town for the once-in-a-lifetime event to be played June 3-26 across the United States and featuring some of the world’s best teams and players! With an atmosphere of live music, merchandise, food and beverage, tournament décor and other entertainment, FanHQ provides a fun place to hangout and extends the fan’s interaction ahead of the match.